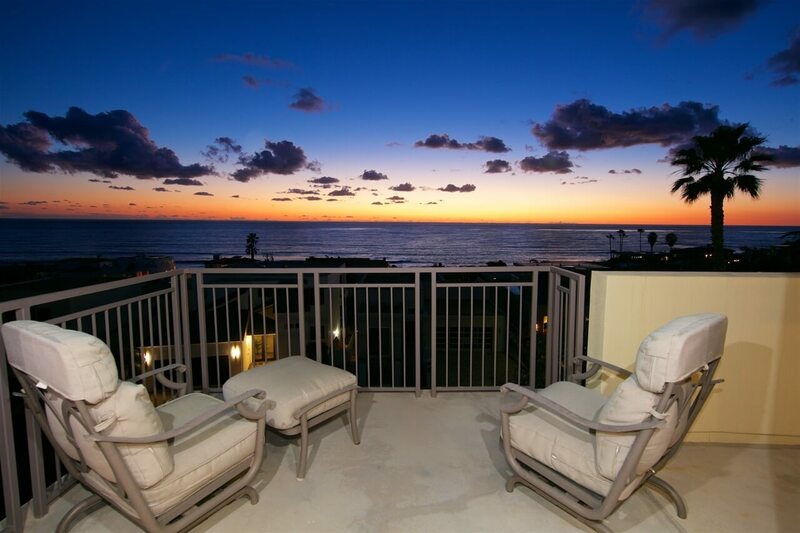 RARELY available corner unit penthouse with forever views and gentle ocean breeze in the charming Bird Rock community, walkable to the ocean, shops & restaurants. Open floor plan showcases polished travertine floors, built in cabinetry, cozy fireplace & motorized shades. New granite counter tops, upgraded quiet close cabinets & Viking appliances highlight the contemporary kitchen. Private master suite with custom built in closet system. Luxurious master bath with full size step in show and soaking tub. Second bedroom and bath is split from master making a perfect guest suite or home office. Full size laundry room with generous storage is yet another feature of this highly desirable west facing unit. Recent upgrades include: New Mohawk Gentle Essence carpet and the highest quality padding, custom closet built ins (both bedrooms), recessed lights in living room, west window tinted to reduce glare, Nest thermostat and updated marble fireplace surround. Seahaus community amenities include: lap pool, spa and fitness center. Two side by side parking spaces and additional garage storage.